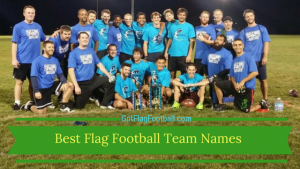 Find the best flag football adult leagues, pickup games and tournaments in the state of Tennessee. 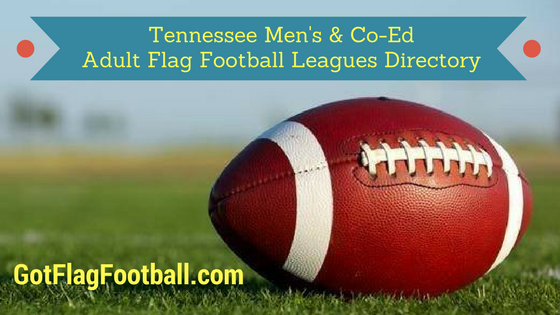 Below you’ll find the top up-to-date for 2019 list of fall, winter, spring and summer, indoor and outdoor local flag football leagues, pickup games and organizations that offer tournaments, organized from the highest to least populated cities and towns in TN. 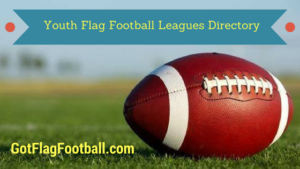 GotFlagFootball.com brings together the recreational and competitive local flag football Tennessee community of organized leagues, city recreational leagues and pickups in one list (in alphabetical order), so that it’s easy to find a game near you. This is a social league for adults aged 21 years and over. It is advertised as a casual meet up between those looking to meet new people and play some football, rather than an organized league. The games are all played on Saturday, and are outside. The City of Nashville offers a flag football league for adults. It runs in the Fall, kicking off in September, and the teams play a 7 on 7 format. This league is played outdoors. A number of different leagues are offered here, all for adults aged over 18 years. They run throughout the year. There are various men’s league’s, including 7v7 and 5v5 outdoor leagues and a 5v5 indoor league. There is also an outdoor co-ed 6v6 league, which requires at least 2 females per team. Each league season runs for at least 8 games, including playoffs for all teams. Nashville Flag Football is a casual meet up league, which requires participants to simply turn up. The cost is very affordable and team sizes are determined each week depending on how many people show up. Games are played outside, and they play all year round. Flag football leagues here are offered throughout the year, and cater to both men and women, with various male-only as well as co-ed leagues. Games are played on either Monday, Tuesday, Thursday, or Sunday, dependent on the league. Games are outside, and are 6v6. Cool Sports Flag Football is an outdoor adult league, which has been postponed until further notice. For further updates, please check their website. Knoxville Flag Football league runs in the Spring and the Fall. It consists of three different leagues to cater for players of various abilities: pro division, semi-pro division and recreation. The season consists of 8 games, plus playoffs. Games are 7v7, and are played on Sunday afternoons. They are played outdoors. This is a co-ed 6v6 league. Teams must have at least 2 members of each gender on the field. Games are played between 12pm and 7pm on Sunday afternoons. Players must be over 21. The season consists of 6 games, with playoffs for qualifying teams at the conclusion of the season and consolation games for teams who do not make playoffs. This is a casual meet up league. It runs in the Fall, and games are played outdoors. Rather than being a competitive, structured league, it is more a chance for adults to enjoy a social game. A number of different leagues are offered by Chattanooga Sports Leagues. There are men-only and co-ed league, and team sizes range from 5 through to 7 players. There are 3 levels of competition, with a-level being competitive, b-level being intermediate, and c-level being recreational. Games are played outside. This adult flag football league is unlike most in the Nashville area. It is a 8v8 semi-contact flag football league. League information and semi-contact rules can be found on the league’s webpage. Madison Campus Sports is co-ed and open to anyone willing to play! Cost is $40 per person. The league organizers ask that players be respectful of all refs as the games are self-officiated and they do our best to call the games. In an effort to increase community relationships and to avoid team stacking, the league teams are determined by draft every year, with captains acting as General Managers from their team. All players will be chose via the draft. No late additions to teams after the first week, unless hardship conditions exist. The league plays on Sunday mid afternoons, at 12:30 and 2pm. A new season starts on 8/27 with a pre season game, before competitive play opens the week after on 9/3 and will run until 11/19 (including playoffs). City of Lakeland offers a 6v6 flag football league. Teams play 10 games a season. This league keep comprehensive statistics, meaning leading players in the league are recognized. Games are played on Saturday’s throughout the Fall. They are played outdoors.